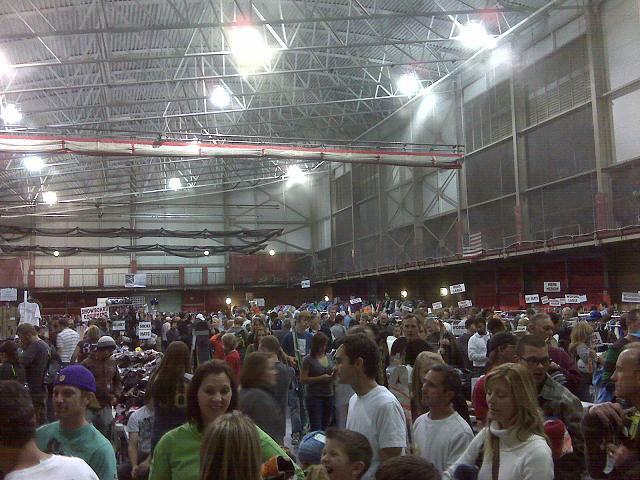 This is the second year that we attended the Park City Ski Swap. (I don’t think I’ve written about it – couldn’t find anything by searching but not sure how well that even works.) Anyway, last year MK and I went with BB. Some strangers gave us beer. It was hilarious. Like I said, maybe I told you. This year, BB didn’t need anything. It was just us. MK got us coffee, which was sweet, and we met some nice neighbors of ours in line. The line is crazy. I took one picture of the line to pay inside. Pretty much everyone you see is in line. The line is totally worth it – I got a pair of skis that retail right now for over 800$ and only cost me around 120$.